*note: i used already cooked squash which i had roasted when i made the autumn harvest soup. if using raw squash, you want to add it earlier in the process of cooking the barley, maybe 15 minutes in? make sure the cubes are uniform in size so they cook at the same time. it’s tricky, because you want the squash to soften and the barley to be cooked through at the same time, it’s all about timing. heat oil in a pot over medium heat. add barley and stir to coat until toasted. at this point, i removed the barley from the pan. return empty pan to fire, heat up a bit more oil and saute the onions and garlic. 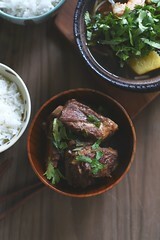 when fragrant, add in the barley again, then add in about 2 ladles-worth of broth. simmer, stirring constantly until broth has been absorbed. do this continuously, until there’s about 2 ladles worth of broth left. add in the kale and squash, stirring in the remaining broth. 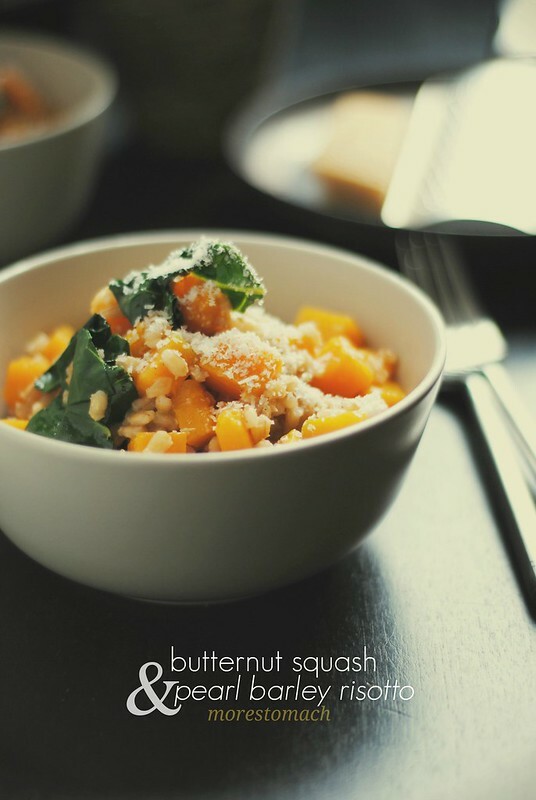 Butternut squash is my favorite risotto – I will have to try it with barley next time! it’s a different alternative to arborio rice. do let me know how it works out for you. This risotto is beyond beautiful – my favourite savoury ingredients in one cosy dish. for some reason, butternut squash always conjures up cosiness to me too. Dairy-doom and all? So pretty, Lan! I’m all about this! Butternut squash, roasted, is like candy to me. Would love it in a warming risotto. cooking the pearl barley like this does give it some natural creaminess, probably from all the starch. i can consume Parmesan cheese due to it’s lack or very low amount of lactose in it. Oh, cool! I just learned something! Confession: I’ve never cooked risotto. I’m intimidated by it. But this, this looks good enough to make me put on my big girl pants and try! it does look intimidating to make but it’s quite simple. i find the more laborious dishes are usually the easiest to put together. good luck! This looks perfect (and the fact that your photos are stunning doesn’t hurt)! 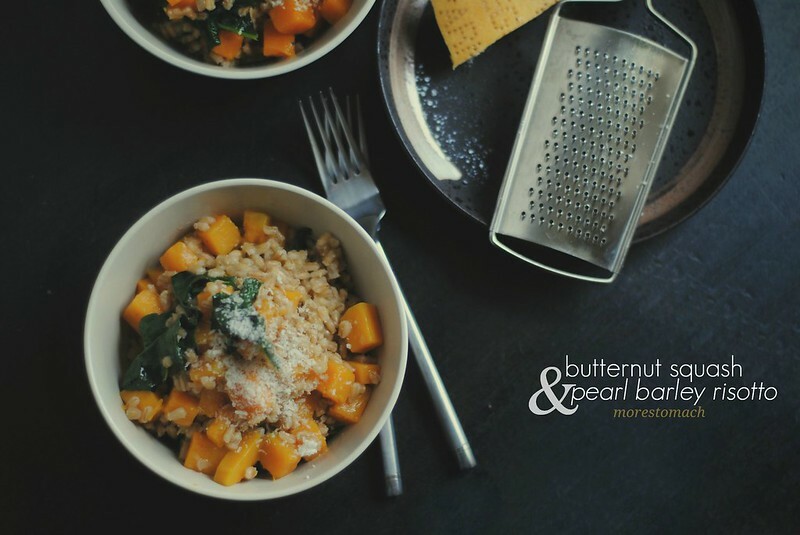 I love butternut, and all kinds of interesting grains. you nailed it, “interesting grains”. i just wanted to try something different and it turned out interesting. I was so sure I commented on this post… did I forget to click “post”, I wonder?! Anyway, I tried this recipe because I also had some roasted squash I wanted to use. 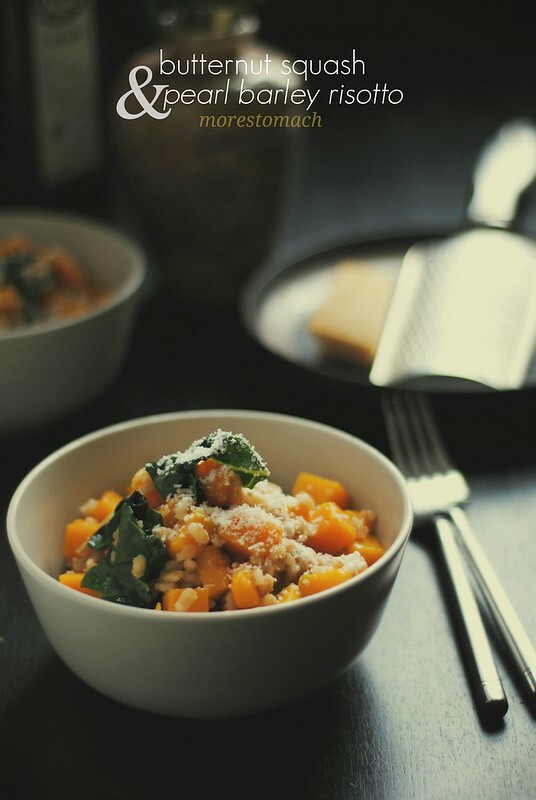 It was marvelous, and I loved the subtle flavors of the squash contrasting to the kale… and I’m so glad I left out all the herbs I suggested that I might try. It would have been too much, I’m sure. i am so glad this worked out for you and you enjoyed it. to be fair, i usually throw kale in everything i eat, out of habit and due to the fact that we always have it in our fridge, but it does lend a wonderful contrast to squash. thank you so much for letting me know how it turned out for you.